UPDATE: Results have been certified by the AGIFORS Council. Please see below. 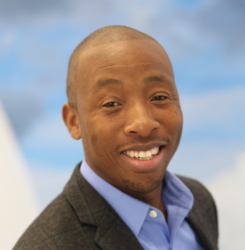 Michael is a Senior Aviation Consultant at Operations Management & Analytics, Boeing Global Services. 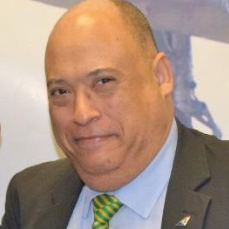 He has been involved with the AGIFORS Operations Control Study Group since 1987, attending and often presenting, as well as hosting the conference in Ocho Rios, Jamaica in 2001 and co-hosting in Seattle in 2016. Mike has worked in airline operations since 1985. Beginning at Texas Instruments, developing systems for airlines, he later worked in SOC and Flight Operations at American Airlines, LAN Chile and Air Jamaica; and also for PROS Revenue Management. Since 2005, Mike has been at Boeing as a consultant to customers on airline operational efficiency. Currently Mike is leading the development of several new systems in OCC situational awareness, disruption management, and turnaround management. Mike holds several patents related to airline operations software, and has published six papers in Aviation Week’s “Handbook of Airlines” series. Mike has a BS in Mathematics from the University of Washington and an MS in Computer Science from Northwestern. Judith Semar joined the Lufthansa Group in 1999 and gained her first experiences in the network planning and scheduling department. As project manager for Lufthansa Systems she led the implementation of commercial solutions at several airlines worldwide. Later she was responsible for the commercial and operational Lufthansa Systems product line NetLine as product manager and portfolio manager. With more than 15 years of airline experience, she is now responsible for the design and development of analytical and predictive solutions for operations control, crew management, scheduling and network planning. Judith is member of the AGIFORS community since many years. She would like to support the AGIFORS community to bring operations control topics and challenges to the AGIFORS community and foster joint discussions on OR and predictive analytics. Mr. Otubuah, based in the Los Angeles area, has over 15 years of experience in the airline and aerospace industry with a focus on operations data analysis, air traffic management, market metrics, and data management platforms. His background extends across numerous functional areas including system operations, marketing, product development and operational planning. Mr. Otubuah is a co-founder of masFlight, an aviation data-analytics company, where he was responsible for setting the strategy and direction of the product development organization. He has a passion for utilizing technology as an enabler to deliver high-impact strategic and operational insights that empower decision making across an airlines enterprise. Mr. Otubuah holds a B.S in Aviation Management and a Minor in Air Traffic control from Embry-Riddle Aeronautical University. I am an information Technology Manager with 30 years’ experiences within the Aviation, Finance and Telecom industries. I am currently employed at South Africa’s largest airline where I am Head of Department for the Airline Operations Solutions Technical division. I played a key role in the success of the 2017 Crew Study Group conference. One of my biggest strengths is my ability to connect to people. I secured the participation of the local city council involved, got them and others to sponsor the event and the mayor of Ekurhuleni to do the keynote address. I also formed a team of people that were motivated by my enthusiasm, to follow my lead into making the conference a good success. I continued with AGIFORS initiatives after the conference. I have run my own recruitment campaign where I reached out to other airlines, aviation professionals and to Crew Management vendors explaining to them of the virtues of the AGIFORS, resulting in the sponsorship by one of the vendors of the Annual AGIFORS Symposium in London and recently in Tokyo. I am completely aligned with the work of AGIFORS and I will be a valuable member of the organization. I believe that my self-starter attitude, people attributes and vast network will be invaluable in the co-chair role. Samuel is an Associate Development Manager and Product Manager in Operations Research at AD OPT. He holds a PhD in Operations Research from Polytechnique Montreal (2016) and a MSc in Engineering from Ecole Polytechnique Paris (2011). His current employer, AD OPT, is a major provider of crew planning solutions (pairing, rostering and manpower planning software). Samuel is currently in charge of the Core Technologies team of AD OPT and he leads innovation projects involving the OR-based optimizers that the applications use to solve the crew planning problems. He has several years of experience in the world of OR for crew planning, both in the industrial and academic contexts. Most of his academic work focused on new algorithms for mathematical models that apply to the crew planning problem. My career in the aviation industry spans three decades. Started in 1985 as application developer at KLM. I have spent most time being the architect of the Crew Rostering and Pairing solutions using the software of Jeppesen. Recently I have taken a big jump by joining the exciting world at Qatar Airways based in Doha Qatar. I did not just switch Country, climate, continent and culture, but I've also moved from being an IT person who leaned over heavily into the business to being in the business and leaning heavily over into IT. Also in 2015 I took on the role of co-Chair of the Crew management study group. A role that I really like performing. I am passionate about crew management as it is the part where OR gets very close into the personal lives of so many people. It is this combination that keeps on fascinating me. Virginie Lurkin is currently an Assistant Professor at Eindhoven University of Technology in the Netherlands. Before her faculty appointment, she completed a postdoc at the Transport and Mobility Laboratory at École Polytechnique Fédérale de Lausanne in Switzerland and a PhD in Economics and Management Sciences at HEC-Liège in Belgium. During her PhD, she was also a visiting scholar at the Georgia Tech. Her dissertation won the 2016 INFORMS Aviation Applications Dissertation Prize. Her research interests are in choice modelling and optimization and the domain of application of her work is the transportation industry. 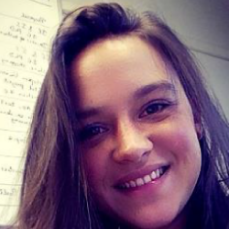 Virginie already participated in 6 AGIFORS conferences and won several awards including the Anna Valicek Medal in 2014, the Best Presentation at the SSP Meeting in 2017, the third Best Presentation at the RM Meeting in 2016, and the best Overall Presentation at the Annual Symposium in 2015. She co-organized the Traffic, Mobility and Passenger Transportation stream at the OR2018 conference (the annual international conference of the German Operations Research Society) and was Cluster Chair of the Aviation Applications Section at 2017 INFORMS Annual Meeting in Houston. She is currently organizing the Transportation and Logistics stream at the EURO 2019 conference. The AGIFORS community has had a very important positive impact on my academic journey and I have always felt glad and honored for having the opportunity to present my research at these conferences. I've met many people whose knowledge and experience have helped me to progress in my research. Being able to learn so much, while sharing my knowledge with the most prominent experts in the field is such a bless. I feel my experience, energy and enthusiasm would enable me to make an excellent contribution for the community. Hunkar Toyoglu is leading the Sabre Operations Research and Data Science Consulting team. His main responsibility is to solve airline problems where there is no readily available solution across a diverse range of domains mainly in pricing and revenue management. He is building proof of concepts and developing innovative customized software solutions with airlines to explore novel ideas by utilizing multiple analytical techniques such as operations research and machine learning. After successful validation in real life with real data, such ideas are productized for the airline market as industry first state of the art solutions. He has worked with many airlines in Asia, Europe, Middle East and Americas and delivered software solutions in pricing and revenue management. Before Sabre, Hunkar had been leading operations research teams for 20 years to translate scientific knowledge into applications understandable by decision makers. He has a PhD in Industrial Engineering. 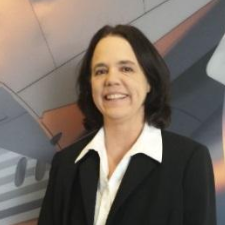 Lisa is a Regional Director at Network, Fleet and Revenue Planning (NFRP), Boeing Commercial Airplanes. Lisa began her Boeing career in 2012. Her current responsibilities include airline network, fleet, scheduling and market analysis consulting, as well as improving NFRP’s analytical tools. Lisa previously contributed to Boeing’s first Services Market Outlook and served as the CIS region focal for the Current Market Outlook, Boeing’s 20-year commercial aviation forecast. Lisa spent eight years at Sabre in Revenue Management Development and Delivery and another eight years at American Airlines in the Operations Research group and Revenue Management. Lisa has a BS in Mathematics and Engineering Science from New Mexico Institute of Mining and Technology, a MS in Industrial Engineering (Operations Research) from Texas A&M University, and an online MBA from the University of Texas at Arlington. 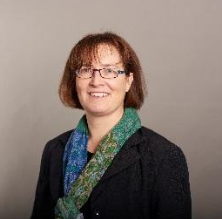 Lisa has been a member of AGIFORS for more than twenty years and involved in organizing past study group meetings, including as SSP co-chair in 2017 and 2018. Cumhur Gelogullari is a Manager in Operations Research and Advanced Analytics group at American Airlines, where he joined in 2006. 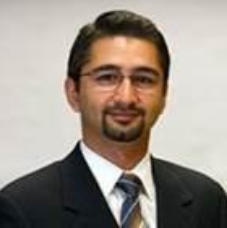 He holds B.S., M.S., and PhD degrees in Operations Research / Industrial Engineering. 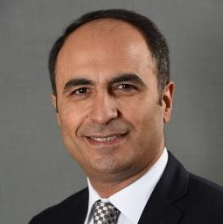 Cumhur leads an OR team focusing on all aspects of Network Planning activities such as scheduling, demand forecasting, fleet assignment, gate assignment, aircraft routing, and fleet planning. He has also been involved in other areas such as Revenue Management, Cargo Planning, Onboard Services, and Safety. He has served as the SSP co-chair the last two years. An avid advocate for the arts, Cumhur helped organize art shows at American Airlines. He enjoys woodworking in his free time. 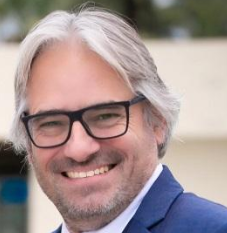 Christophe is the founder and CEO of Predictive Mobility and co-founder of Milanamos both companies being dedicated to implement the Agile Marketing principle in respectively the area of Network Planning, Revenue Management and Commercial Development. Christophe has twenty years of experience in the aviation industry working for a large international airline and for a major US based IT firm before launching his new ventures. Christophe has an international experience during his consulting, working with major airlines such as Delta Air Lines, Aeroflot, Avianca, JAL, or EgyptAir. 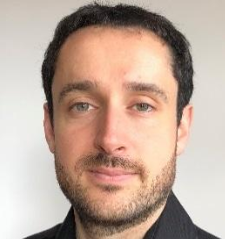 Christophe started its career in aviation working in pricing and revenue management where he implemented a new DSS and designed support applications. 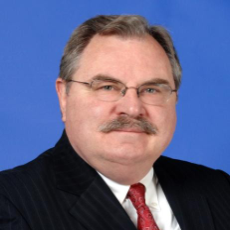 He later worked on Network Planning and his consulting practices led him to manage airline restructuring and turnaround, start-up carriers, network and route development, commercial optimization, and specific system implementation projects. 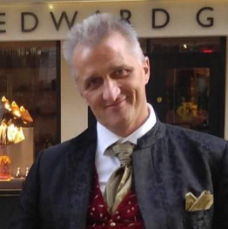 Christophe has completed his academic studies in Econometrics with a thesis on “Systemic Models of Economic Disorganization” at the University of Aix-en-Provence and he has also graduated from the IAE Business School with a specialization on Marketing. Christophe is an invited contributor to the Air Business Academy and Hautes Etudes Commerciales business schools’ MBA programs. 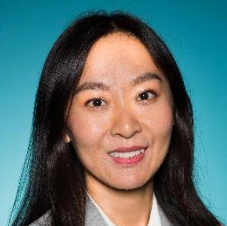 Yuxi Xiao is a senior analyst at American Airlines in the Network Planning department. She is responsible for Trans-Atlantic route decisions. She has been with the company for 6 years. Previously, she spent a year working with the OR and IT group to build a Fleeting Assignment model. She also worked for 4 years in the OR group supporting Revenue Management, where she participated in the development of a forecast engine to predict demand patterns as well as optimization system. Yuxi holds a MS in Economics and MS in Industrial Engineering from Georgia Institute of Technology.